Congratulations to DCB Students on Exceptional IB Results! 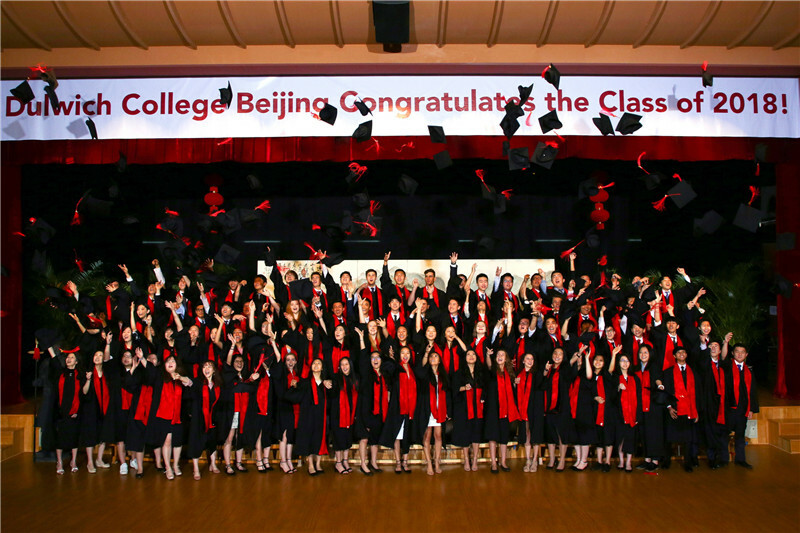 It's a cause for celebration at Dulwich College Beijing as students and teachers are rejoicing in yet another year of outstanding IB scores as the International Baccalaureate Organisation has just announced its June 2018 IB Diploma Programme results. This year DCB entered 94 students (99 percent of the Class of 2018) into the full IB Diploma Programme, widely recognised as the most rigorous high school qualification globally. While the world average Diploma score is 29.8, DCB students achieved a phenomenal 37.7 point average (out of a possible 45), with 30 percent of our students scoring 40 and above. Notably, three members of our Class of 2018 achieved a perfect score of 45, four pupils attained a stunning score of 44 and seven pupils a score of 43! 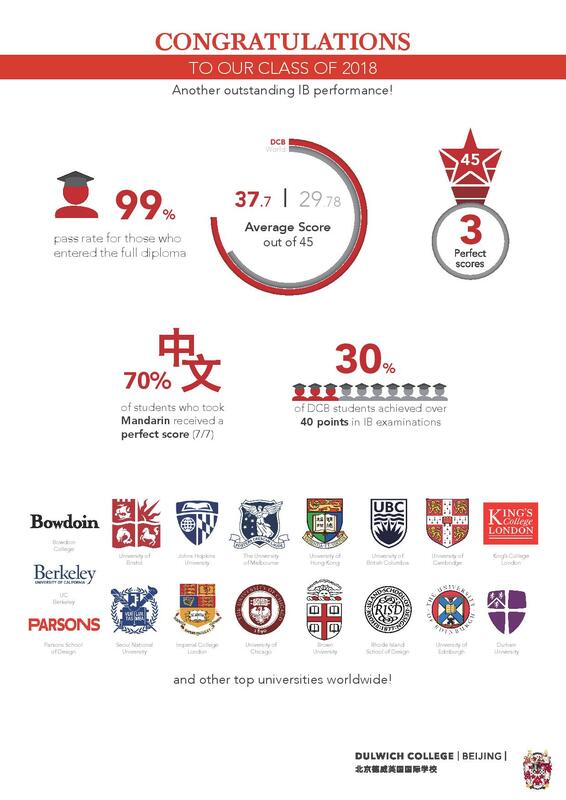 Dulwich College Beijing is very proud of these stunning results and a wide range of offers from universities worldwide that our students have received. 92% of students choosing UK as their university destination will attend Russell Group universities (24 of the UK's top higher education institutions promoting excellent teaching and research). The long list includes: University of Cambridge, University of Durham, University of Bristol, University College London, Imperial College London, King's College London, University of Manchester, University of Leeds and University of Exeter. Our graduates opting for the US as their college destination have been accepted at the top research universities – Johns Hopkins, University of Washington, University of Chicago, UC Berkeley, Liberal Arts colleges - Bowdoin College and Brown University, as well as world-class art schools - Rhode Island School of Design and The New School: Parsons School of Design. We believe in the importance of best university fit for each of our students and are proud of all of their achievements, which also include acceptance at the prestigious film programme at the University of Southern California and a basketball scholarship from UC Berkeley. Those heading to other global destinations have also excelled: from Hong Kong University, to Seoul National University, SKKU, Korea University and Yonsei in Korea, to Sciences Politiques in France and the University of Melbourne, Australia. Congratulations to the Class of 2018 on your splendid achievements!